Produced and flowback water have recently become an integral component in the hydraulic-fracturing process rather than an expensive waste requiring transport and disposal. 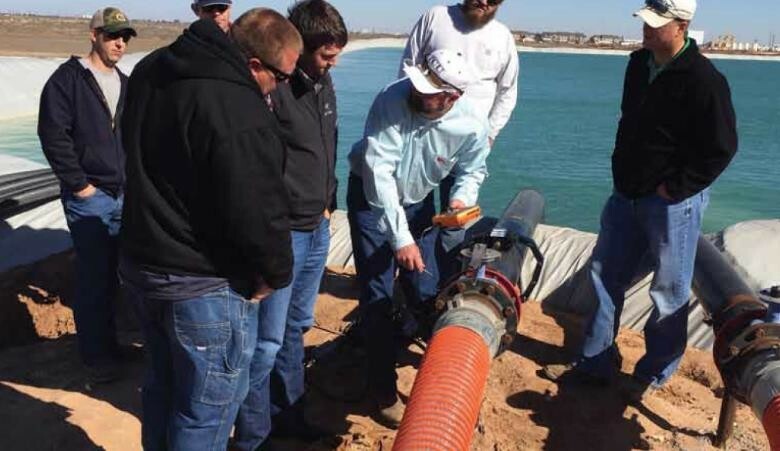 Water-management practices have improved considerably for each aspect of the oilfield water cycle with efficiencies being introduced that improve safety, economics and reliability. 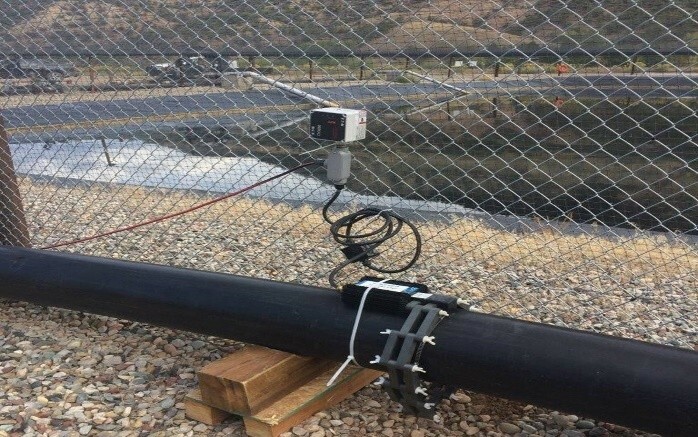 Bacterial fouling is a common concern in both water storage and use during hydraulic-fracturing operations, and historic methods of prevention and treatment incur high costs without real-time validation of effectiveness. Recent innovations allow chemical-free bacteria neutralization, as well as bacteria testing on location. This significantly improves control of bacterial contamination while reducing operating costs. Flowback and produced water are normally anaerobic with <2 parts per million (ppm) of dissolved oxygen (O2). They frequently contain a wide range of bacteria that include sulfate-reducing bacteria (SRB) and acid-producing bacteria (APB). These waters also have free iron and other nutrients to allow the bacterial colonies to multiply rapidly in the anaerobic environment. During pumping and water-handling operations, enough oxygen is introduced to change the environment to an aerobic condition so that aerobic bacteria can grow and proliferate rapidly. While not enough dissolved oxygen is added to kill anaerobic bacteria, their growth is retarded in this state. If allowed to return to a deeper low-oxygen zone, these anaerobic bacteria multiply aggressively. They form colonies that produce high-molecular-weight polysaccharides, which deposit on piping, proppant and other geologic formation surfaces as a biofilm. This serves as the glue that holds the microbial colonies to metal or rock surfaces. Given the right conditions downhole, these microbes continue to expand in numbers, deeper into the geology. This causes “souring” of the well by production of hydrogen sulfide. It leads to microbiologically influenced corrosion (MIC) on the steel-production tubing and well-casing materials and plugs the pores and permeable seams in the rock. This decreases production and requires capital-intensive repairs. MIC is estimated to cost the oil and gas industry billions of dollars each year because of the capital costs in replacing and repairing pipelines and equipment. Added to that are the revenue losses from lost production. To prevent these bacteria from being introduced to new wells, several different types of water bacterial treatments have been developed. They have shown varying measures of effectiveness. Dosing with bactericides and oxidants (either chlorine dioxide or ozone) tends to reduce the number of living colonies temporarily, but unless residual treatment effectiveness is maintained to keep populations in check, they often do not successfully eliminate the biofilm that serves to protect the colonies. The tremendous growth rate of these organisms in hot, water-rich and low-oxygen subsurface conditions causes aerobic and anaerobic bacteria to thrive in the wellbore and formation, and microbe populations rebound within days. A common challenge in the field is conducting reliable, “near real time” tests on the water to understand bacterial levels hour to hour. If this is available, then management of biocide dosing is possible, and confidence increases that bacteria are not present in the fluids going downhole. Current tools for verifying bacteria have been described in the National Association of Corrosion Engineers (NACE) TM0194-2014, Field Monitoring of Bacterial Growth in Oil and Gas Systems. They are useful for estimating sessile (those that “stick to” a surface) bacterial populations that are commonly found in oilfield systems. The guidance document identifies numerous testing approaches, though all require discrete samples taken in the field and then transported to a testing facility. The most common approach for measuring bacteria for oil-and-gas water has been to focus on indicator bacteria types such as SRB and APB organisms using “bug” bottles. These rely on serial dilution and cultivation in nutrient media for relatively long periods, often up to 30 days. However, less than 10 percent of the viable microbes can be cultured using this approach, and there is a broad range of microorganisms found in oil-and-gas systems that might harm well integrity that are not identified. Further, the identification of colony counts are presented well after the decisions need to be made for water treatment. So, a significant gap in bacteria control historically exists. Identifying specific groups of organisms, like microbial genera and species, provides the ability to apply biocides more targeted with greater effects and generally at lower costs prior to the frac. A qPCR can specifically test for sulfate-reducing bacteria. To comprehensively identify all bacteria present, a metagenomics test is needed. Known as the Well Characterization Test (WCT), it comprehensively identifies all bacteria by genera and species in a given fluid sample including SRB, APBs, IRBs and more. Pinpointing specific genus and species means biocides can be applied more narrowly with greater effectiveness and generally at lower costs prior to the frac. The combination of Rapid-B bacteria testing and the HydroFLOW device provide a step change in oilfield-bacteria control. HydroFLOW water conditioners are environmentally friendly devices that have been distributed throughout the world for many years, but only recently entered the U.S. market. Over twenty years ago, Hydropath Holdings, located in the U.K., invented a process that treats fluids by inducing a robust yet harmless signal of 150kHz throughout plumbing systems made of any material. The pipe, and/or the fluid inside of it, acts as a conduit which allows the signal to propagate. The induction of the signal prevents scale and biofilm from accumulating inside plumbing systems and gradually removes existing deposits. This preventative action significantly reduces energy, chemical, water and maintenance costs which extends the service life of equipment and pipes. A new tool, the Vivione Rapid-B mobile bacteria laboratory, uses flow cytometry to identify each bacterium’s physical properties (including size, shape, living/dead, and transparency) and analyzes responses to probes and DNA dyes. The Rapid-B system provides total living bacteria counts within 15 minutes and is able to differentiate live from dead bacteria. It also eliminates interfering non-bacterial matter such as sediments using a series of electronic filters that ensure reliable results. Produced, flowback and fresh water have varying amounts of bacteria, which will grow geometrically when stored in ponds containing nutrients. Dosing with oxidants and biocides to maintain low populations is only temporarily effective and cost prohibitive if considered for use as a residual treatment. However, using a HydroFLOW device will provide continuous bacteria neutralization during recirculation of pits or on-the-fly to a frac. In many cases, the bacteria-neutralization effect has shown reduction from 105 colony-forming bacteria per milliliter to 102 without any biocide chemicals after continuous HydroFLOW use. The HydroFLOW unit requires fluids to constantly flow through a pipe, which can effectively kill bacteria in water at flow rates exceeding 100 barrels per minute. Depending on the concentrations of bacteria, one or more HydroFLOW units may be spaced along a water-transfer line to effectively kill high numbers of bacteria. 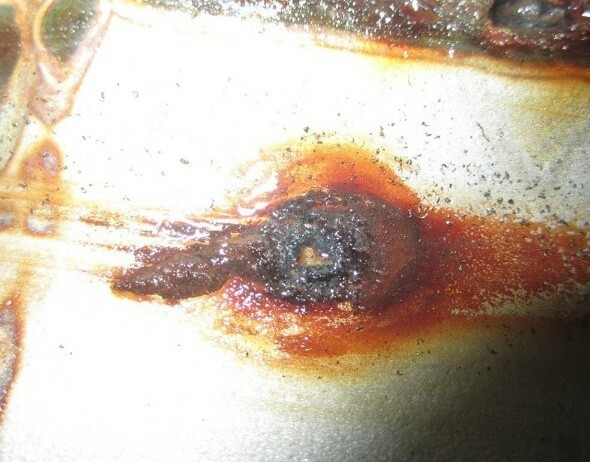 HydroFLOW has been successful in industrial sectors for many years, with a strong history of removing biofilm, scale and bacteria in pipes and boilers. Existing scale diminishes and is soon removed altogether due to the continuous frequency generated and applied by the HydroFLOW device. HydroFLOW has been used for treatment of surface water through recirculation and has successfully reduced live bacteria populations by >95 percent consistently. The hydraulic-fracturing operator is provided with actual bacteria counts in the field and is able to accurately calculate the dosage of biocide required to kill remaining bacteria with a margin of residual chemical. The operator uses considerably reduced volumes of chemicals at a significantly reduced cost. Biomonitoring of all water streams is a key component of water-lifecycle management. Keeping accurate records of cell numbers and activities at each step in the process allows the identification of microbial hot spots in the system. In the end, smart lifecycle management with a good biomonitoring program can reduce the overall use of biocide chemicals and still be equally effective. The combination of Rapid-B bacteria testing and HydroFLOW provides a step change in oilfield-bacterial control at a significantly reduced cost. Operators are able to maintain low levels of bacteria in stored and transferred water while having the ability to test the bacteria levels in nearly real time on location. Contact us today to learn more.